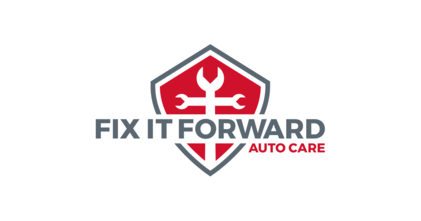 WELCOME TO FIX IT FORWARD AUTO CARE. Affordable, honest, and caring company who repaired my daughters car in one day! CONVENIENT EAST 10 AREA MOORHEAD LOCATION. WE USE TECHNOLOGY TO BETTER SERVE YOU. FINANCING OPTIONS TO KEEP YOU ON THE ROAD. 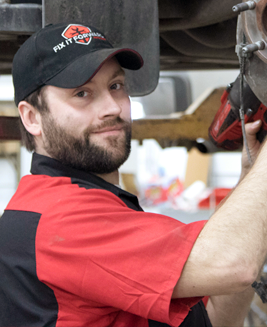 Our experienced mechanics have a passion for helping people. Both are committed to ensuring that the repairs are done properly and efficiently by technicians who want the best for our customers. We understand the concern customers have about being sold services and parts that are not needed. We addressed this by eliminating commissions. Our mechanics don’t get paid based on how many parts they sell, which removes the motivation to oversell parts. Being a Christian organization at our core, we see everyone as a child of God and want to treat them with integrity and respect. We strive to provide friendly service and a safe, comfortable environment for you and your family while your vehicle is being repaired. WE PLACE HIGH PRIORITY ON GIVING BACK. Providing quality auto repair and service isn’t our sole objective. We have a bigger purpose. Our own Fix It Forward Ministry helps the neediest people in our community with their transportation issues by providing free car repairs and giving away donated vehicles. Our ministry utilizes volunteer labor, discounted parts, and charitable donations to cover the costs of repairs. All work is done here at Fix It Forward Auto Care after hours and on weekends. As of 2019, we have given away over 130 vehicles and repaired over 350. Our name says it all! Become a customer of Fix It Forward Auto Care and you will be "paying it forward" by enabling our ministry to make an even bigger impact in our community. Drop off your vehicle at our shop and our experienced and ASE certified technicians will complete a full inspection and send you an estimate of any concerns they found right to your phone! You will be able to review the inspection form to see the current health of your vehicle and review the cost of the recommended work to be done. 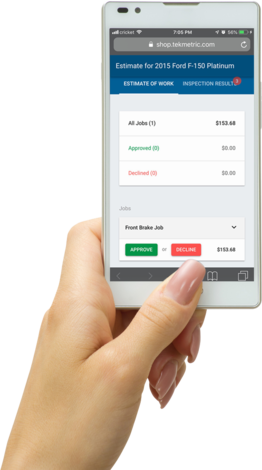 All it takes is a click of a button on your phone to accept or decline any of the work you want done. No hassles finding time to call, it doesn't get any more convenient. Once it is approved we will get your car repaired promptly and send you a text when it's done. We are quickly setting ourselves apart by focusing on quality, integrity, and giving back to our community. From hybrid cars to full sized trucks and everything in between, no job is too big or too small. 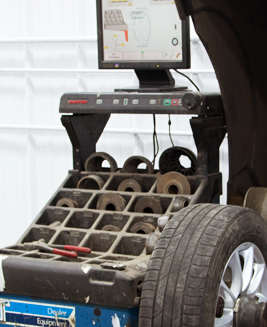 Need tires, an alignment, tune up or a new transmission? 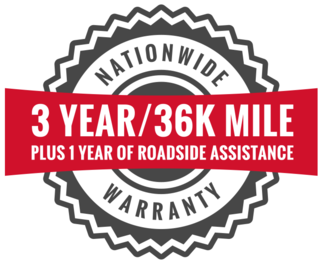 With our ASE certified technicians we can handle whatever needs you may have. We have a new and unique approach to auto care, and want to change what you expect from your auto repair shop. We truely are Driven To Serve, both you our valued customer and our Lord and Savior Jesus Christ. Call, email or stop in today, coffee is on! 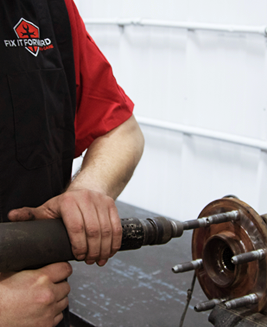 FROM BASIC SERVICE TO COMPLEX REPAIRS, WE FIX EVERYTHING! 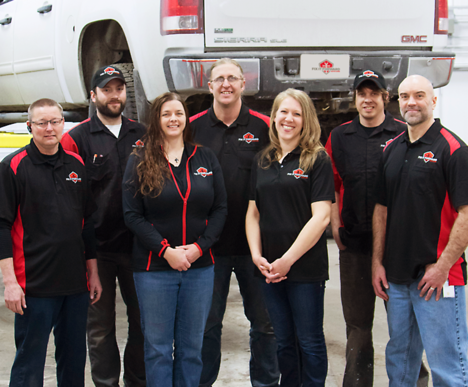 BECOMING FARGO-MOORHEAD'S PREMIER AUTO REPAIR SHOP.